KRAMER VP-23 PRESENTATION SWITCHER with NEW Power Cord Axcent 3 Controller Working order.. Conditions : - New + Remote NO ADAPTER- Certified Pre-Owned Equipment- Tested by a qualified technic.. Description :Title : Leitch FR-684 Chassis With SPG-1680N, 2 X 684PS 6 X VDA-683 ModulesModel : FR-6.. Description :Title : Lexar LSD64GBBWMC300 Platinum II 64GB SDXC UHS I Memory Card Class 10Model : LS.. Conditions : - Used lot of 2- Certified Pre-Owned Equipment- Tested by a qualified technician- Read.. Conditions : - Used lot of 8- Certified Pre-Owned Equipment- Tested by a qualified technician- Ready.. Description :Title : Marshall 7 Inches V-LCD70XP-3GSDI Screen Monitor FOR PARTModel : V-LCD70XP-3G.. Conditions : - New not sealed never used- Certified Pre-Owned Equipment- Tested by a qualified techn.. 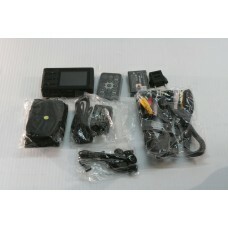 Description :Title : NEW Lawmate QN-2700 Mini DVR Digital Video Recorder Model : QN-2700Brand : Lawm.. Description :Title : NEW PV800 High Res DVR (30GB) + RemoteModel : PV800 Brand : Unbranded GenericCo..